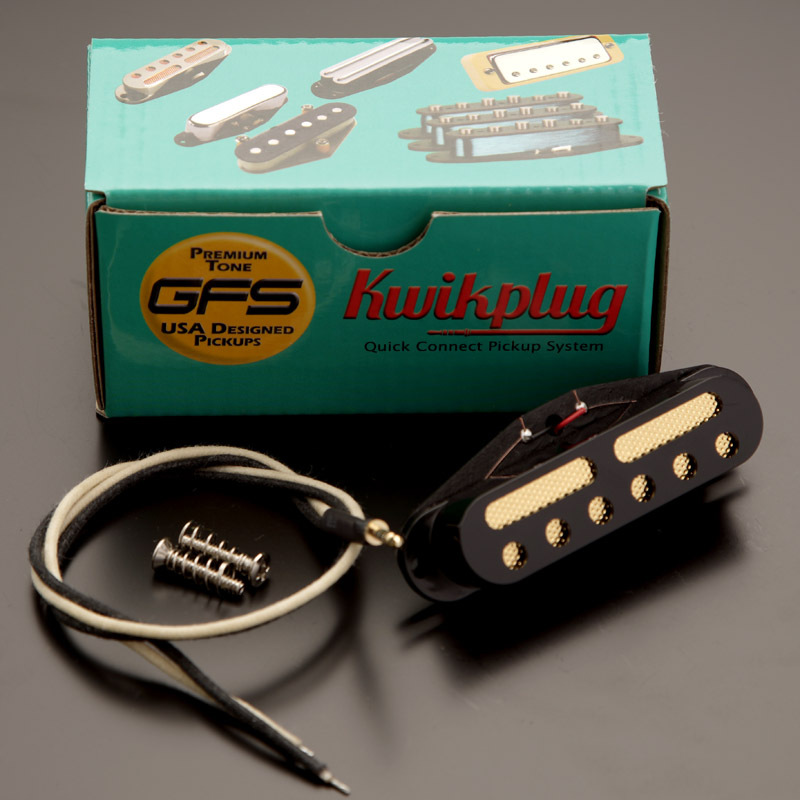 This pickup is now available in our proprietary Kwikplug â€œInstantly Interchangeableâ€ pickup system. Check the appropriate boxes below! 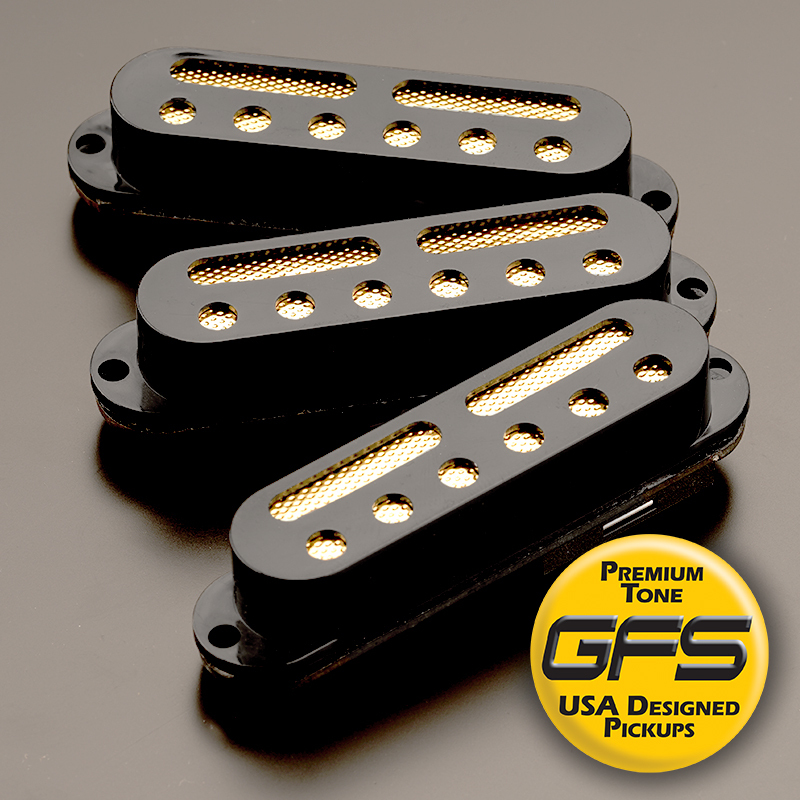 Now obviously there never were Gold Foils for Strats in the past, so we invented them. 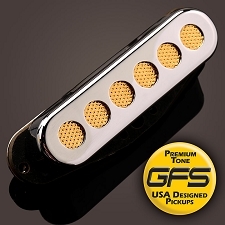 We use slightly shorter, slightly lower gauss Alnico 5 rod magnets, and wind a big FAT scatterwound coil. The goal is to get the great gold foil vibe- the big warm bottom, the scorching upper mid and treble, and the very relaxed lower mid. 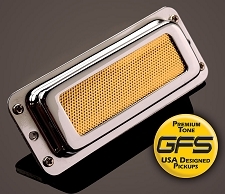 Great for blues, great for multi-effects, great for classic rock. 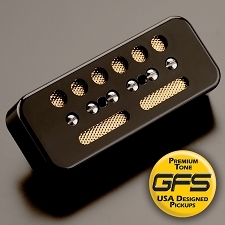 The sound is closer to a mini humbucker than a Strat pickup! 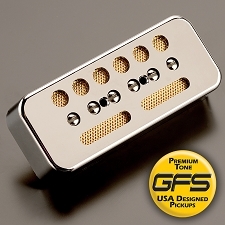 The Bridge pickup is wound to 6.0K, the middle to 5.6K and the neck to 4.9K. The mid is RW/RP so positions 2 and 4 on your 5 way switch are noise cancelling. These use vintage spec fiber bobbins, 43 gauge formvar wire and hook up with color coded cloth leads. They are vacuum potted in a parrafin/beeswax mixture. 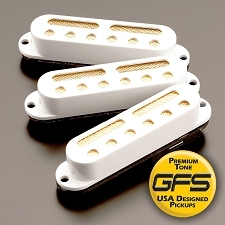 We ship the pickup in a GFS box with wiring instructions, height adjustment springs and mounting screws. This listing is for individual pickup. If you need all three please order the calibrated set- it will save you a few bucks! 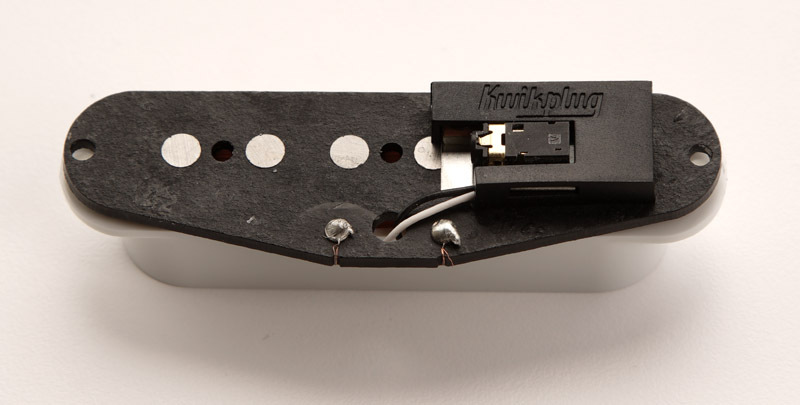 If you chose the Kwikplug version you can order a matching â€œSolderlessâ€ pre-assembled wiring harness for quick and easy â€œpain-freeâ€ installation! Click here to add a harness to your cart.